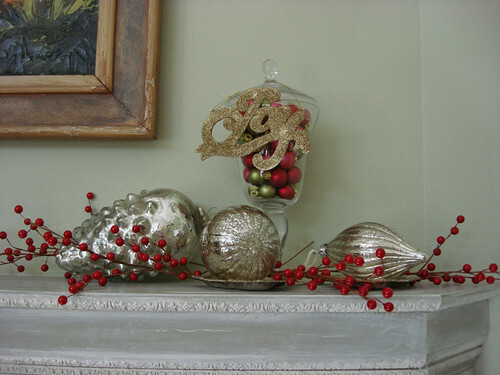 Don’t be Sad That Christmas is Over, Decorate For Winter! 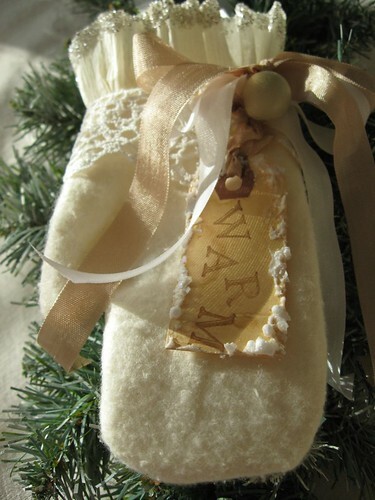 With Christmas now behind us, most of us will spend the next week packing up all of the beautiful bits & bobbles that have dressed our home for the past several weeks. 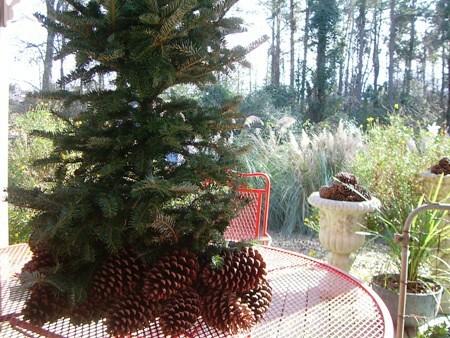 And although it’s kind of sad to see all of our little Christmas treasures get tucked away for another year, it’s also sort of nice to have our home “freshened up” for the new year. Even so… there is still a bit of an empty feeling, when we think about having to wait another full year to display those treasures again. 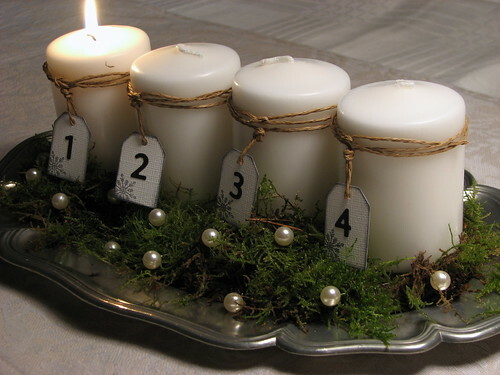 Here’s a great idea to help you prevent that “empty feeling” around your home, and to help you to look forward to each new season/holiday throughout the year. 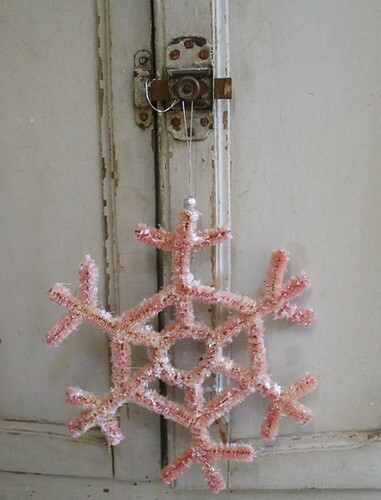 Why not keep a few of your things out & “re-purpose” them to match each new season/holiday? 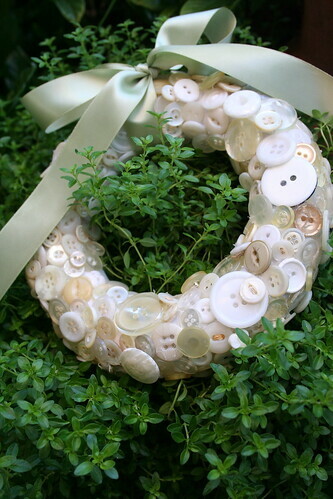 I love my grapevine wreaths! 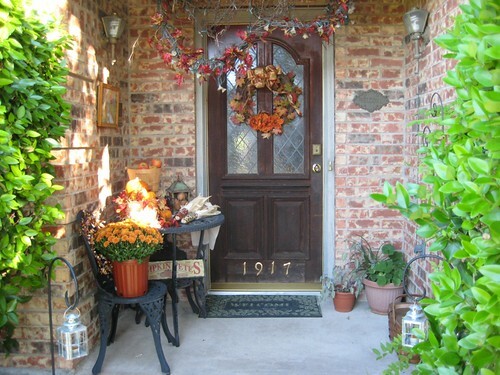 So, instead of putting them away because Christmas is over, why not take the Christmas decorations off of the wreath & put some other sort of decorations on it for the rest of winter? Or, you could keep everything off for a natural look. This year, my husband bought me a little tree for Christmas. It fits on my kitchen counter just perfectly! 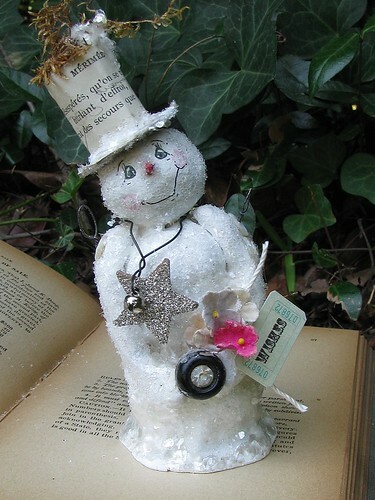 Instead of putting it away, I am going to dress it with items that say “winter” – instead of “Christmas”. 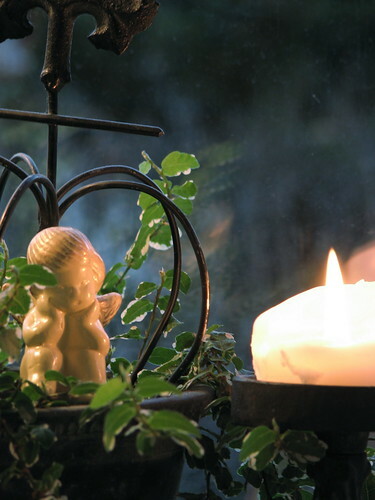 With simple decorations from your favorite home decor store or mail order company such as LTD Commodities, you could change your decor over to “winter” in just a few minutes! Here are some different things that say “winter” (not just “Christmas”), so instead of packing them away, you can keep them out all winter long. 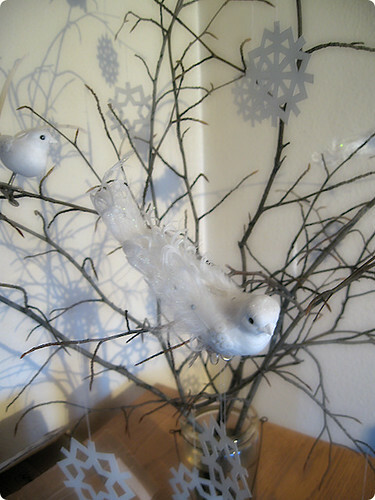 We get to enjoy feeding our feathered friends during the cold winter months, so how about using little birds made from pretty paper or felt (like the ones above)? 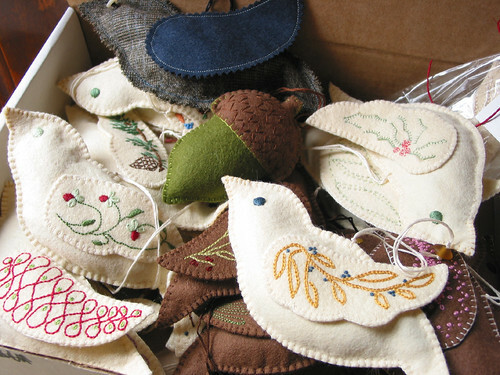 Using some scrapbook paper, you could make up beautiful little birds to match any style or color. 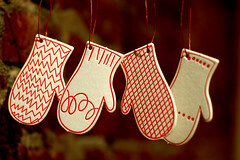 Then use them to hang on a tree, wreath, light fixture, or across your curtain rod. Also, if you’re having a difficult time deciding which colors to use, so your home says “winter” instead of “left over Christmas”, you can’t go wrong with white, silver, light blue, and green! 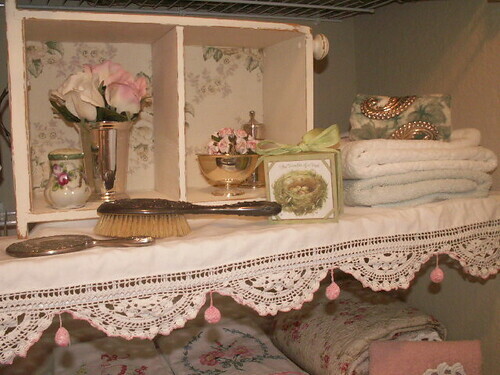 Today we received the news that MicasaStyle.com has chosen the winner of the “Decorated Room” contest, that we were hosting for them on our blog. 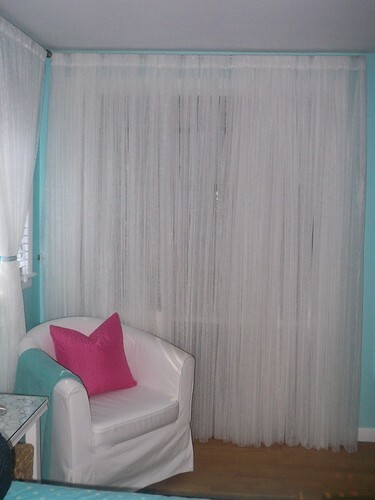 Here is the link to her room on MicasaStyle.com – take a second & go take a peek. 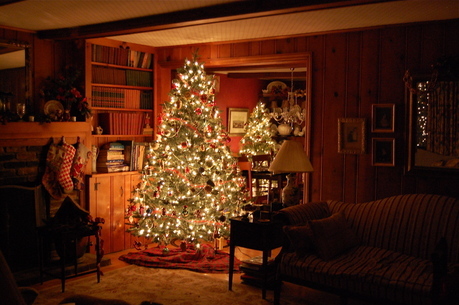 She has done a wonderful job getting her room ready for Christmas! Thank you to all who participated, and thank you to MicasaStyle.com for asking us to share it with our readers. 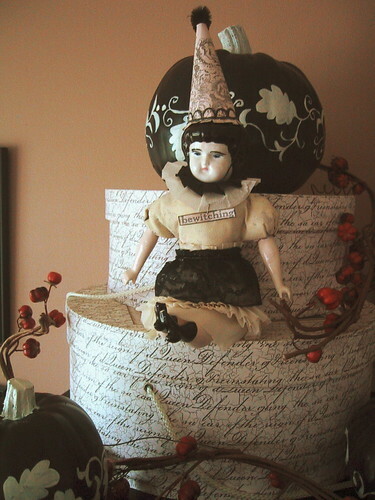 And Mary…. enjoy spending the extra $100 for the holidays! Picture by Joy – stop by her Flickr page! 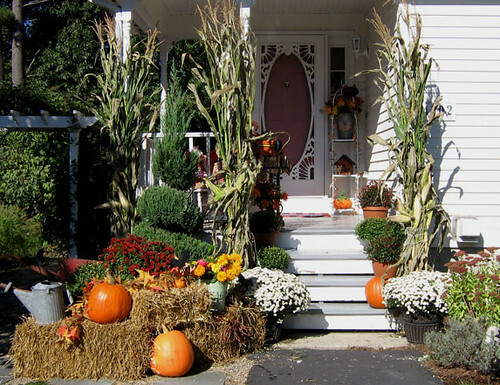 Today I wanted to share some more ideas for using pumpkins to decorate your home & garden without having to carve them. Look at the beautiful displays that some of my creative friends have put together! From (Joy), the same gal who shared the above picture. 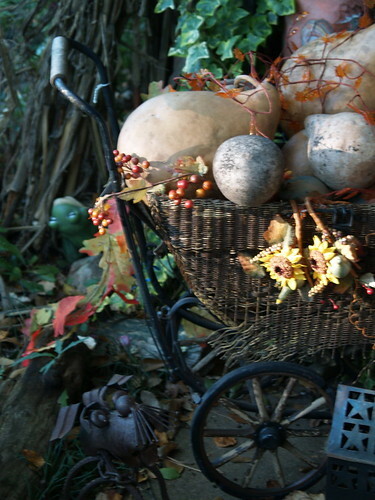 I love how her friend has used so many different fall items such as; pumpkins, guards, bittersweet vine, colorful leaves and sunflowers, to fill this vintage baby carriage. This display is so “storybook dreamy”! 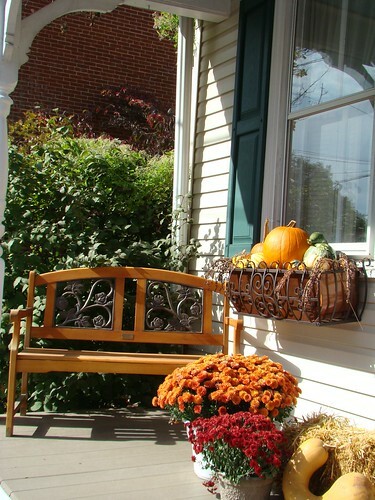 By pulling together some of your favorite bits of Autumn, you can make your home & garden the talk of the town! The best part? 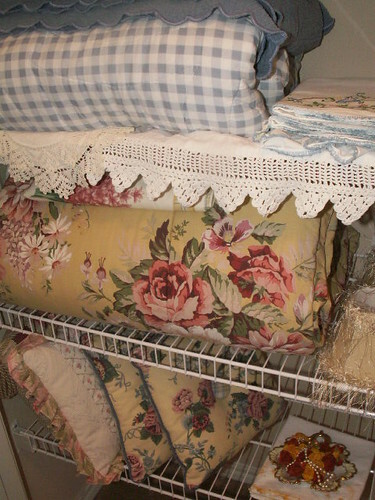 Most of these items can be found free by using things from your garden, and your decorating closet. 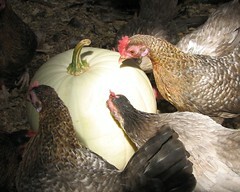 A simple scattering of pumpkins & goards here and there makes everything feel so festive! 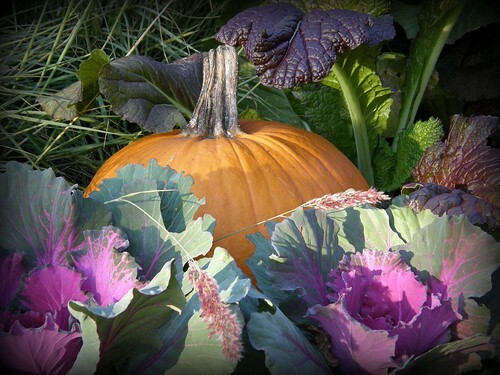 How about a pretty ribbon around the stem of the pumpkin to make is even more dazzling! 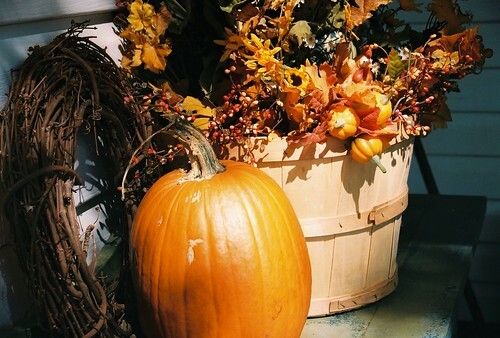 Painted pumpkins are becoming very popular, and although they are a great project for those who are to young to carve, they aren’t just for kids anymore 😉 I have seen some absolutely stunning examples of painted pumpkins, that would be a beautiful addition to any home. You can do something very simple or extremely complex, it’s totally up to you. 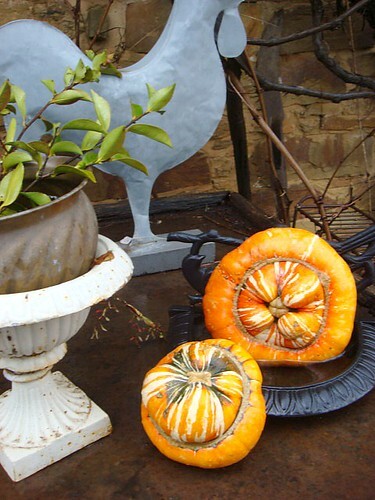 These painted pumpkin ideas are not only easy, but they will also allow you to use your creativity and put together something unique & inexpensive for your fall display. 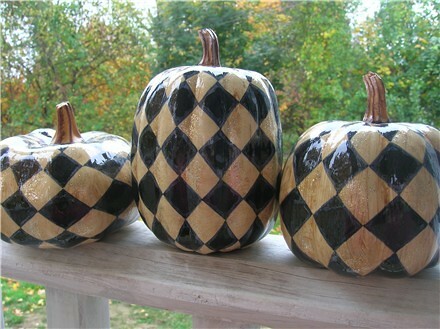 Before you paint your pumpkin, be sure that it is clean & dry. 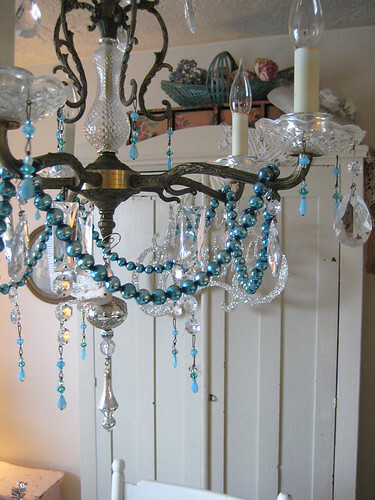 Here are some color combinations to spark your imagination. 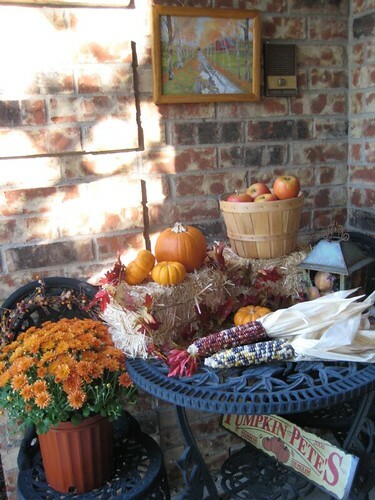 When thinking about what types of designs to use, don’t stop at what would be considered “normal” fall decorating. 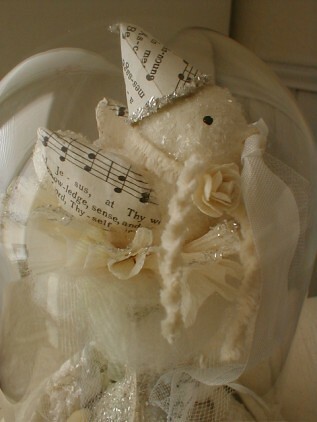 Use your creativity to come up with all sorts of ideas! Here are a few ideas that you might want to try. 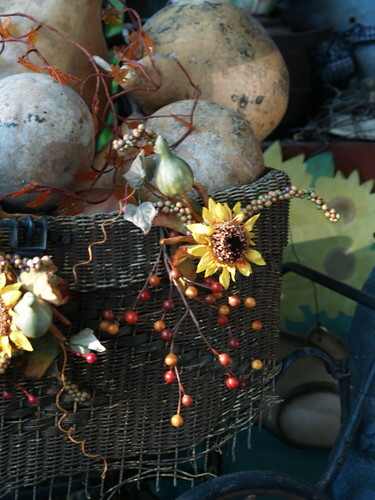 I once saw a display that someone created, where they used several pumpkins all painted in shiny deep jewel tones. Then they were arranged into a Cinderella theme display! It was surprisingly beautiful! 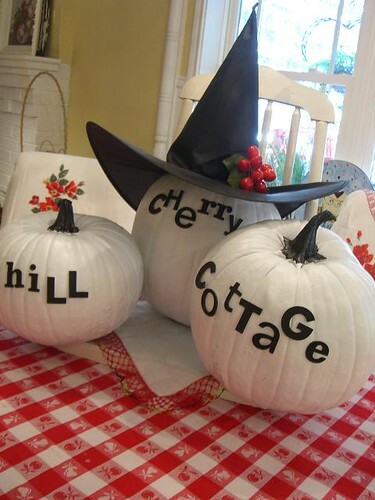 Decide what type of designs you would like to have on your pumpkin, then cut that shape out of paper. 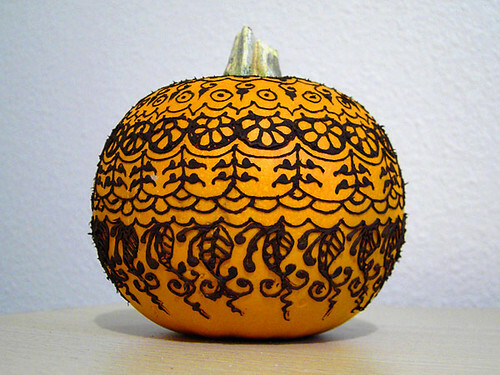 Tape the piece of paper onto the pumpkin, then paint over it. 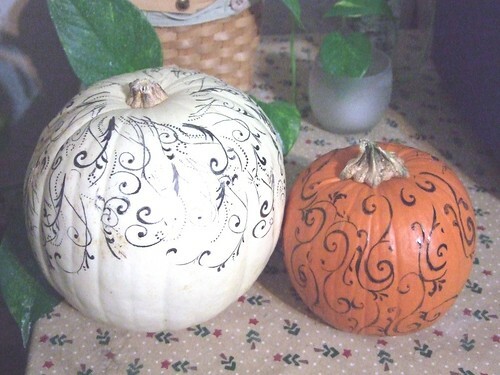 When you remove the stencil, you will see the stencil shape in either the color of the pumpkin itself, or the base color that you decided to use. 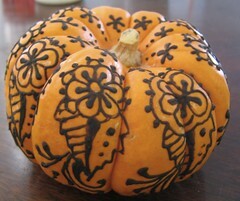 Here’s a very pretty example of how you can use stamps to decorate your pumpkins. 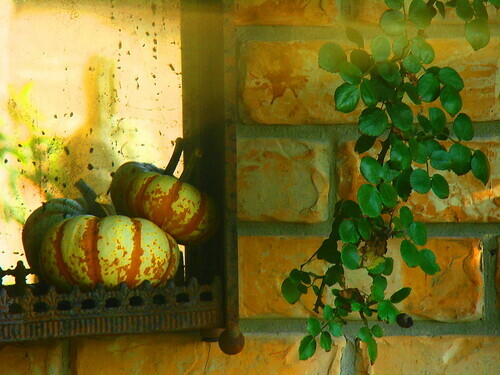 leaves, acorns, dots, stars, pumpkin faces, saltbox houses, barn, etc. You could also paint the design free handed if you’d rather as in this example. 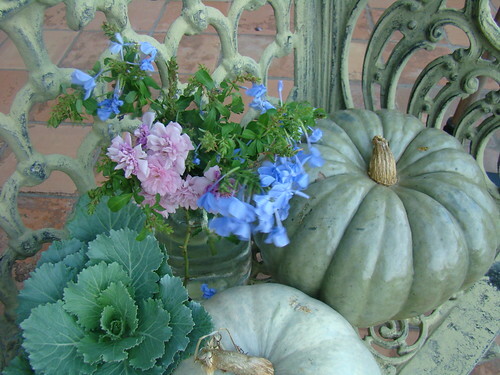 Look how beautiful these pumpkins are! Although they are dressed in henna, it almost looks like toile! 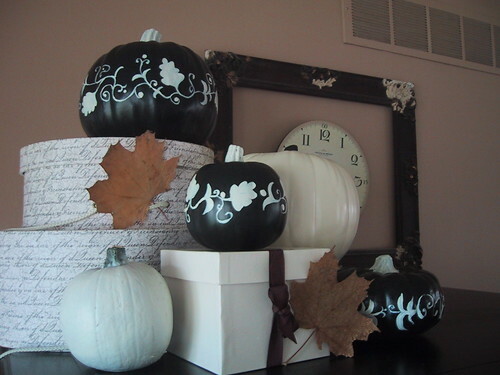 If you didn’t want to actually paint your pumpkins, you could simply add stickers, or bits from your scrapbooking supplies. Look at this sweet example! Guest Bedroom That Doubles as an Office & Crafting Space! Watch the slide show below to see how this gal turned her ordinary guest bedroom into an eye popping multipurpose space which includes a guest bedroom, home office, and crafting area! 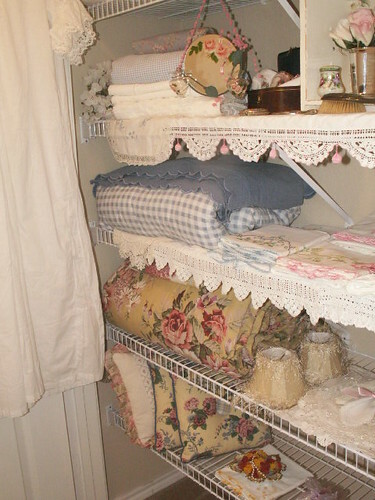 Don’t Just Organize Them – Add a Little Pizzazz to Your Closets! With the heated days of summer coming to an end and chilly Autumn evenings already upon us, we know it won’t be long before we need to pull out the warmer pieces of our wardrobe. With this we also know that we will need to take a little bit of time to rearrange our closets and armoires, so that we can get to those clothes that we wear the most. 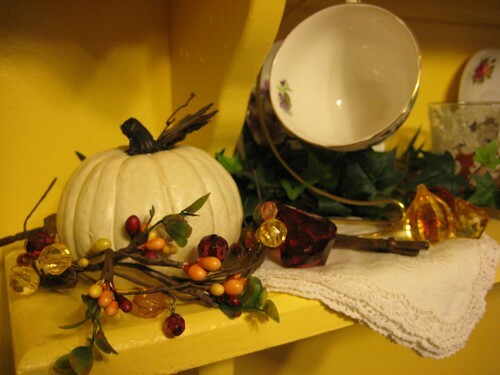 It doesn’t matter if your space is one that is out in the open for everyone to see, or a quiet little closet in the back room, we could always use a little bit of color & a decorative touch to warm things up and give it that feeling of home. 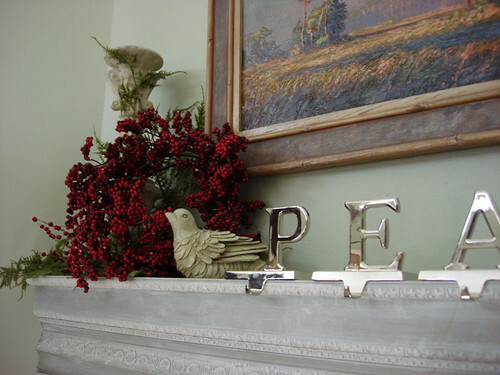 This year… along with taking some time to organize everything, why not take just a little bit of extra time and add a bit of pizzazz to your space? After all, even though no one else may see it, you still have to face it every day. So, why not make it a place that you enjoy, instead of a place that you dread digging through like a pirate after treasure! Just a few extra touches and a bit of color can help change your whole attitude as you face each day! 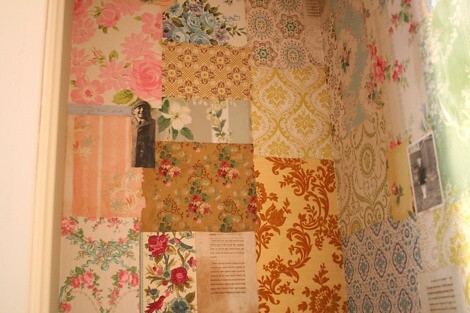 I love how Pam Garrison uses pieces of scrapbook paper or wall paper to cover the walls of her closet for a wonderful decorative touch. 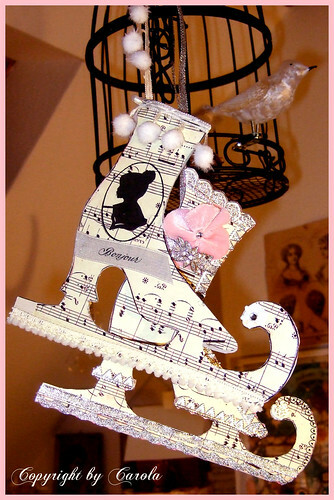 Notice the pieces of sheet music & note paper that also cover the shelf itself. Here’s another picture of an inside wall. The family photos added here and there are a nice finishing touch. In this case, Pam used some childhood pictures of her father. 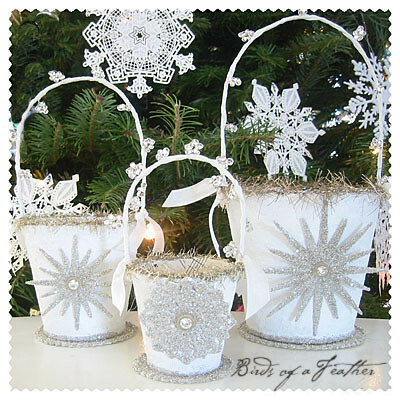 Look at these wonderful ideas from Patricia at Vintage Treasures. 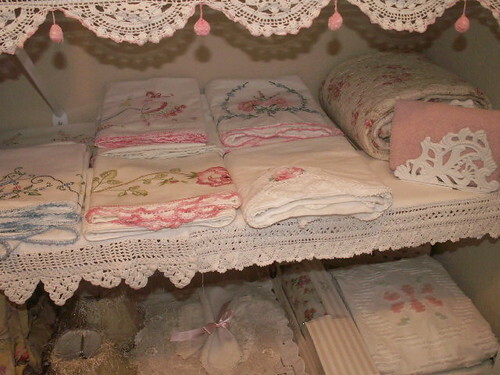 Not only does she enjoy all of her own linens, but she also has a business dealing with vintage linens, so she really needs to keep herself organized! I think you’ll agree, that she has come up with some wonderful ideas in the pictures below. 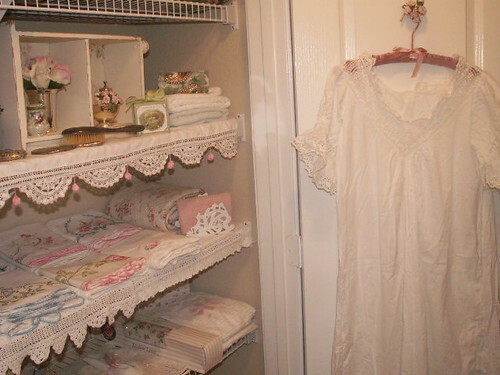 I like her idea of placing a hook, or a group of hooks, on the back of a closet door to display special things such as this beautiful nightgown. 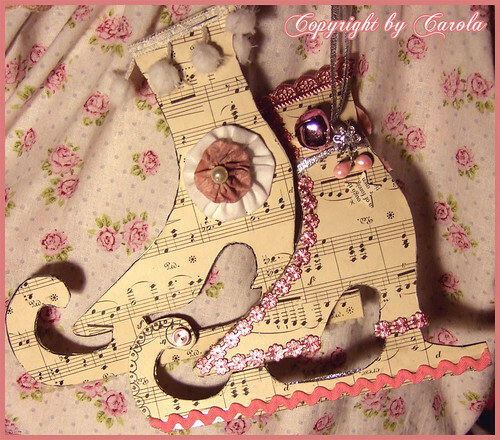 She also added some pretty little roses to dress up the hook itself. And how about that little night stand tipped over on its side to be used at a different angle! Here’s a close up of that little night stand. It’s been given a nice “shabby” coat of paint, and lined with some wallpaper in the background. 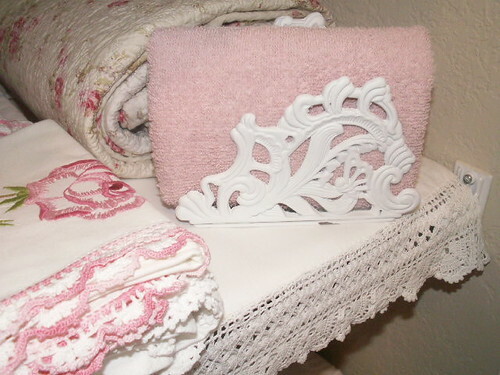 What was once a napkin holder (or book ends) can now be a beautiful place to display an item in your closet such as the towel was in this case. I can’t say enough about the charm that a vintage suitcase brings to any room! 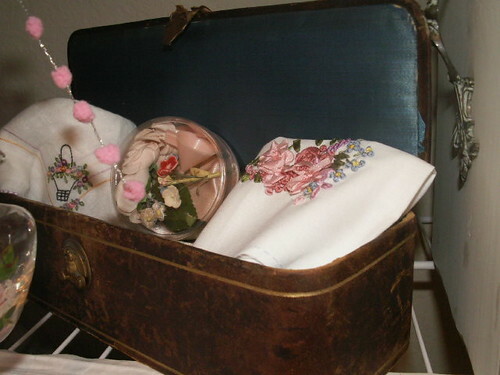 Look how the vintage linens pop against the deep blue velvet lid of this piece. 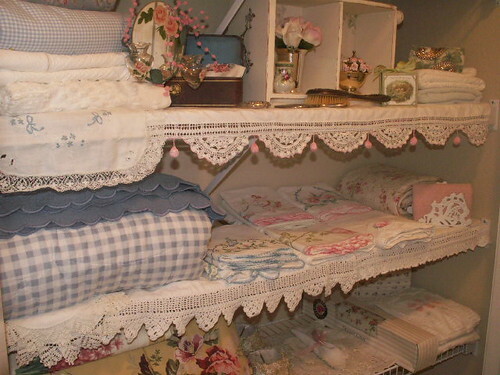 As in this picture, you can use shelving that can be found at any discount store very inexpensively, then use some of the items that you are storing in this area to dress up the shelves themselves – like these pretty lacy pieces. 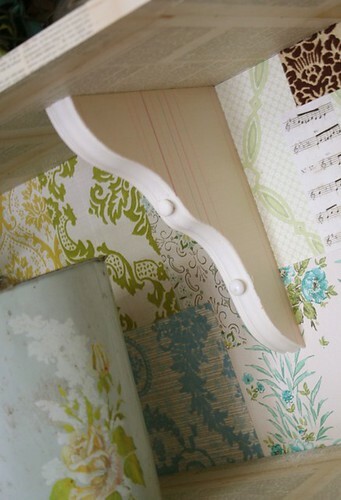 If you have bits of trim that you haven’t found a project for, how about putting them to work decorating the edges of your closet shelves?